Largest clock size: 4.96ins diameter (12.4cms diameter) approx. That's Crafty! Surfaces Bits and Pieces Greyboard Sheet - Large Grunge Clocks. 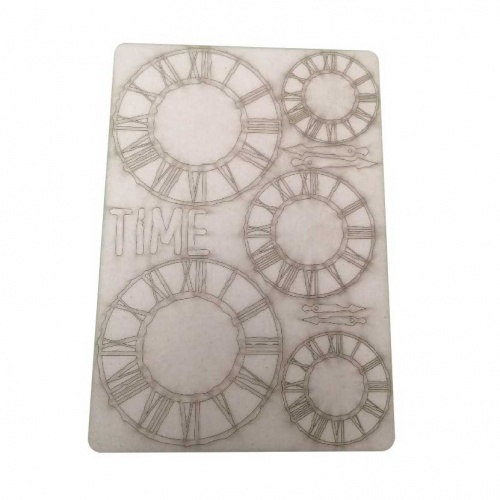 Sheet contains 9 large greyboard shapes, plus the word TIME made from 2mm thick greyboard.